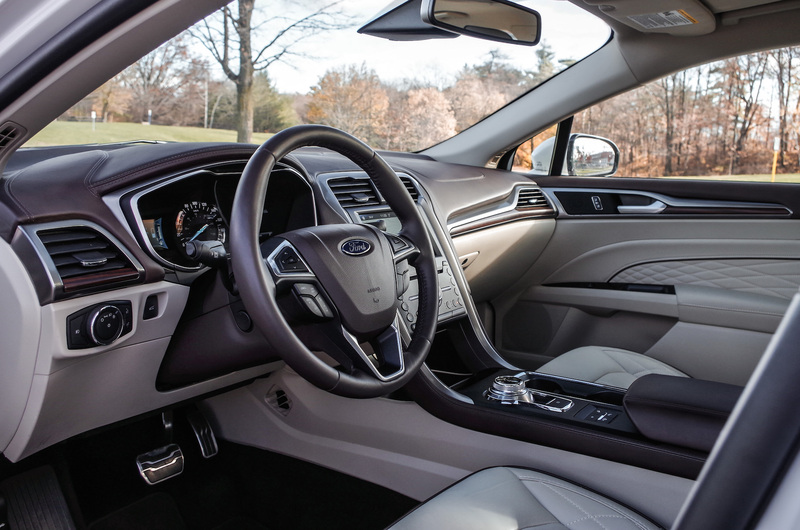 The Ford Fusion has received many accolades, be it for styling cues similar to that of an Aston Martin, or the powerhouse Ecoboost V6 found in the 2017 Fusion Sport that our editor deemed as the perfect road-trip car. 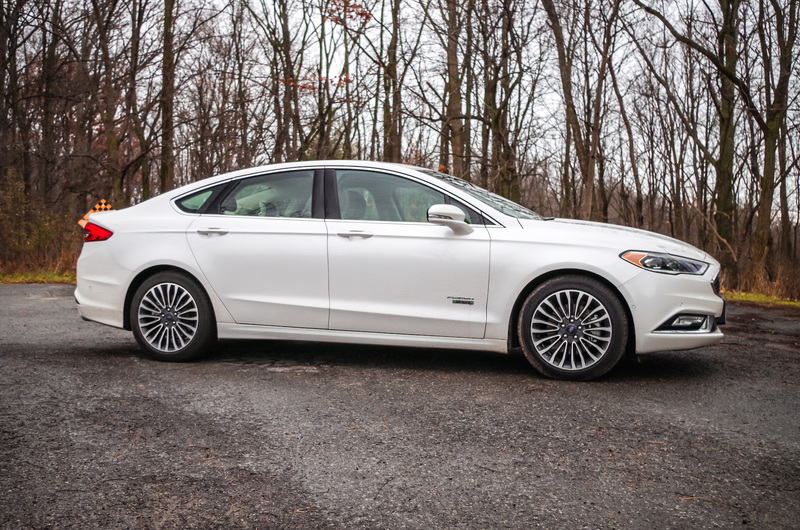 So I had to see what all the fuss was about, and to keep things interesting I decided on the 2017 Fusion Energi PHEV (Plug in Hybrid electric vehicle) in Platinum trim. I was in for a surprise. I had expected a functional family oriented interior but when I opened the door, I discovered an interior that looked to have been stolen from something far more upscale. 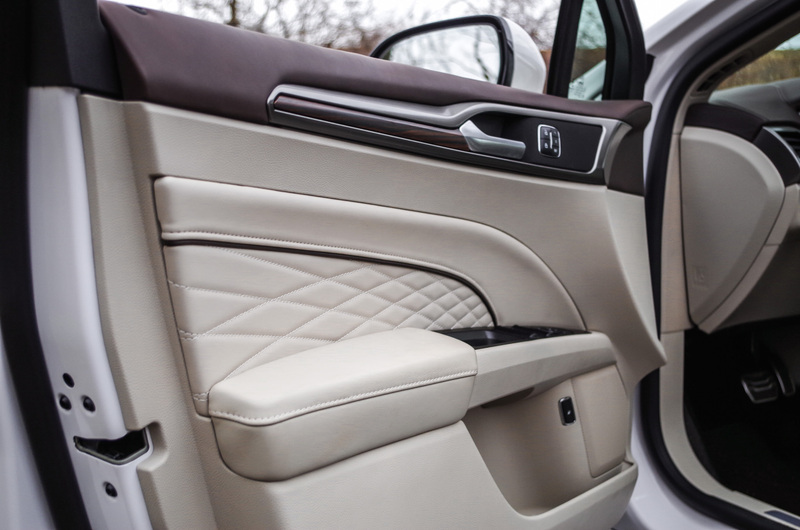 The doors were lined with stitched leather and there was wood grain trim. 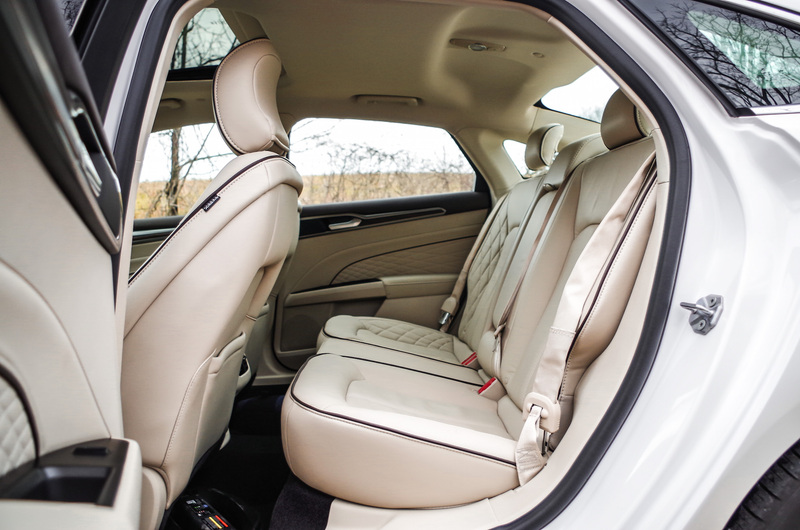 The premium feel continued the more I looked around with features like the leather wrapped dash board and rather comfortable seats finished in a colour known as soft ceramic – this was to be a week of delightful motoring. As nice as the Fusion looks on the outside, it does not draw any attention to itself; it blends in and gets lost in the crowd. 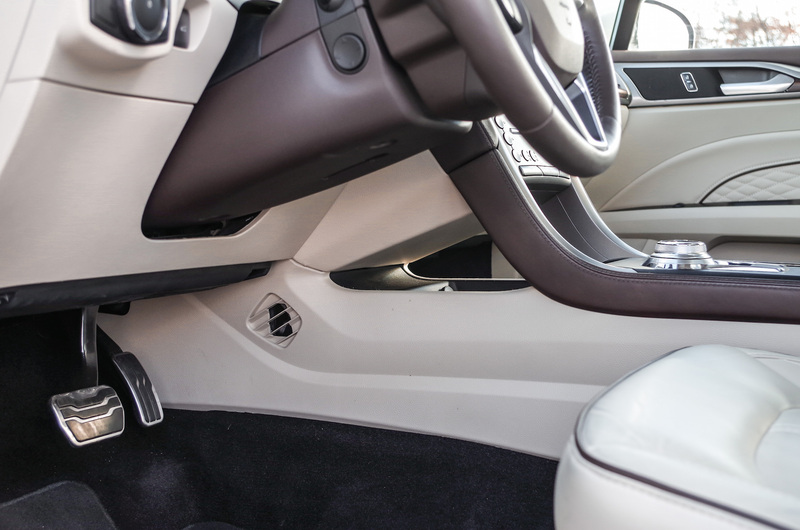 No one would ever suspect such a high level of interior fit and finish. All of the goodies found in the Sport are here; heated and cooled seats, heated steering wheel, SYNC 3, and storage options galore. The layout is simple and easy to use, and there are real knobs and buttons to control many things as well as the redundant control found in the touch screen. 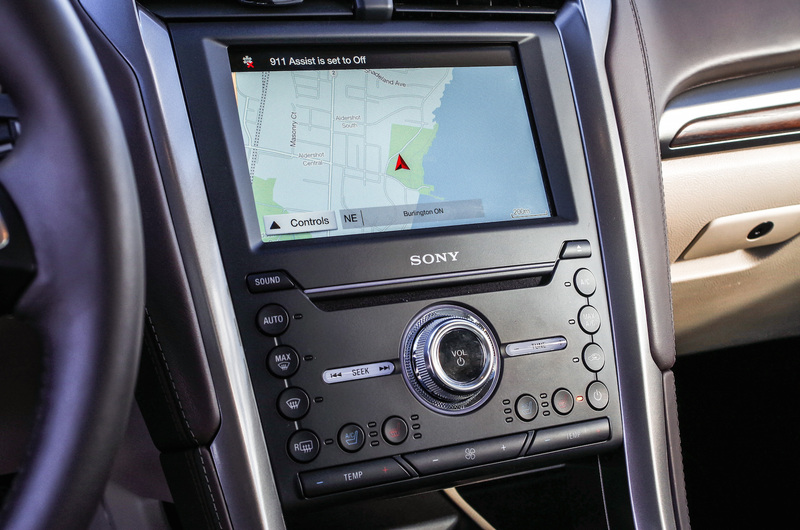 The navigation system works very well and the driver’s information display within the gauge cluster offers many options as to what information can be displayed. The 12 speaker Sony HD audio system is a treat and offers a neat function. Whenever you hear a song you like on the radio but are not sure what it is, simply hit the TAG button and the system can save the relevant information, artist and song title, to your iTunes for you to preview or purchase later. No more searching YouTube endlessly in a futile effort to locate a song you know nothing about. Brilliant. The system also enhances the FM and even AM bands, bringing them up to more modern digital standards. A unique bit of technology available only for the Energi model is a phone/web based App called MyFord Mobile. The App allows you to check on charging status or schedule charging to correspond with off-peak times, locate nearby charging stations and more. If you park in your garage, instead of remotely starting your vehicle to pre-warm or cool it, which the App can also do for you, be sure to plug in the charging cable so the car can use grid electricity to operate the HVAC. By doing this you eliminate the risk of exposing your family to harmful emissions. The App is complementary for five years from the production date. 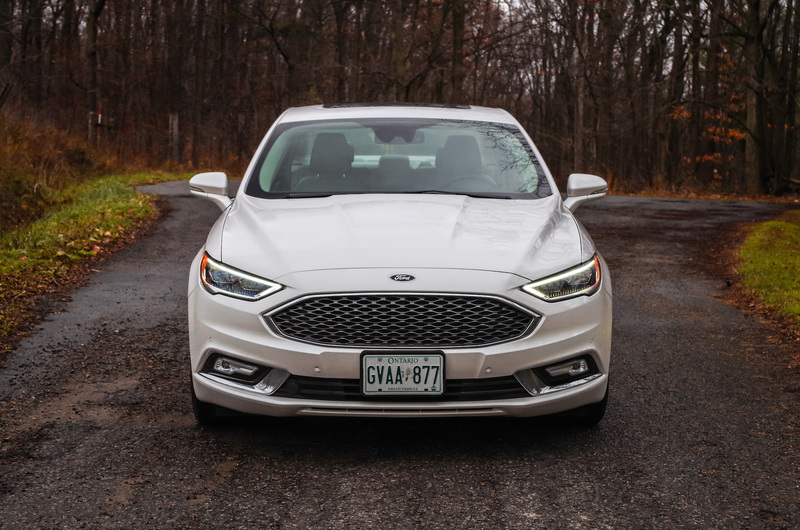 On the road the Fusion drives in a smooth and comfortable way that isolates you in a similar manner to the Lincoln MKZ Hybrid I drove earlier. Once again the focus is one of undisturbed tranquility. 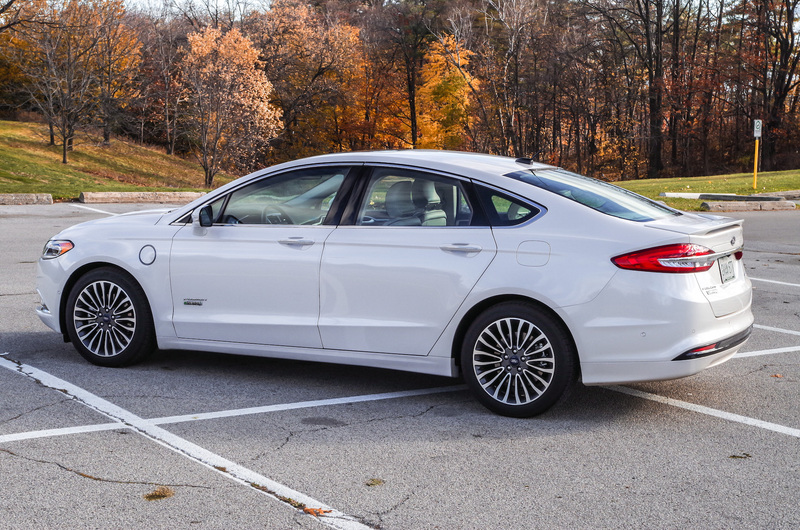 Apart from a few excesses (massage seats) and styling, the only real difference between these two hybrids is the plug-in capability of the 2017 Fusion Energi. 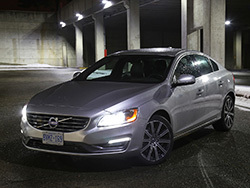 Both use the same 2.0L Atkinson cycle engine paired to an 88kW electric motor and an eCVT. The difference is the lithium-ion battery can be fully charged overnight in approximately 7 hours using a standard 120-volt wall outlet. If that is not quick enough for you, a 240-volt plug will reduce charging time to nearly 2.5 hours. The beauty of having a fully charged battery every morning is the possibility of a purely electric commute. A full charge offers a possible 35 km driving range, however, that seems to assume flat level ground, city speeds without stopping. 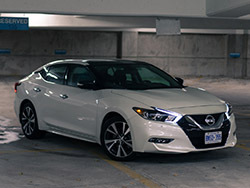 If your workplace is about 20 km away and you can plug in once there, you will have a good chance of an all-electric commute without having to significantly alter your driving style. During my week I drove 341 km of which 152.5 km were completed in electric only. I could have had more electric only time but only charged the battery once. That being said I still saw an average of 5.5 L/100 km. The official fuel consumption figures are 5.5 / 5.7 / 5.6 L/100 km (city / highway / combined) gas only and 2.4 Le/100 km. What is Le/100 km you ask? 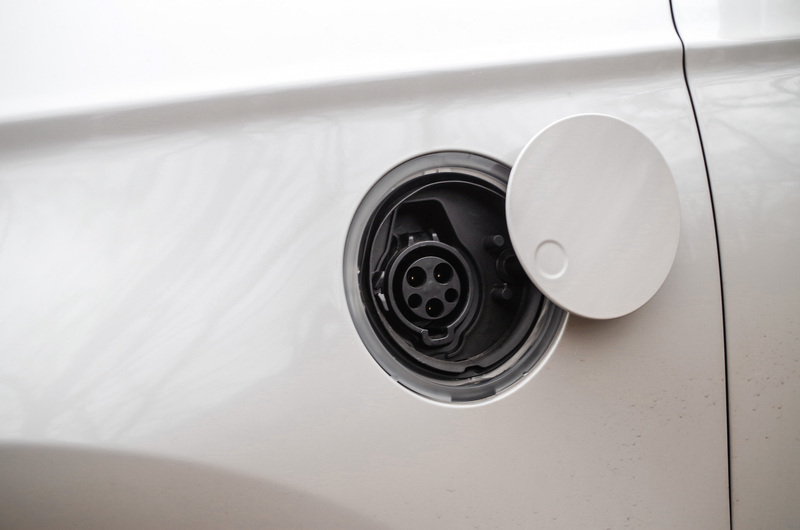 In an effort to demystify fuel economy figures for electric vehicles, which are measured in kilowatt hours per 100 km (kWh/100km), a format that means absolutely nothing to most of us, the governing powers decided to convert the kWh into the L/100km format we all have at least some understanding of. To do this smart people in lab coats spent many tireless hours developing a formulae to figure out that one litre of gasoline contains the same energy as 8.9 kWh of electricity. 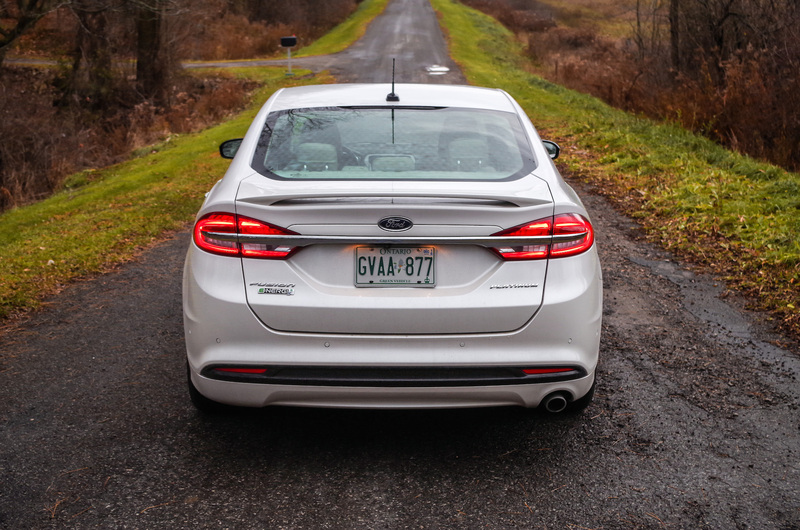 When you look at the Energuide window sticker for the 2017 Fusion Energi you will see two different estimations: one reflecting driving done using only gasoline (L/100km) and the other representing driving using only electricity (Le/100 km). In short when the sticker reads 2.4 Le/100km, it does not mean the car is actually using fuel, rather it is expressing energy consumption in a way we can more readily understand. 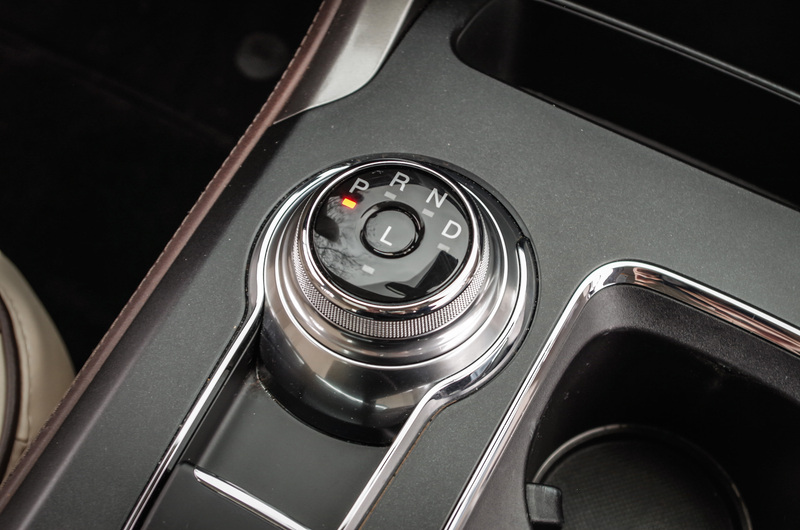 In order to ensure you get the most out of the Hybrid system, the Fusion operates in three selectable modes. To be honest, most will never take the vehicle out of Auto as it does all the thinking for you and will likely do a much better job figuring out how best to use the engine and battery power. In Auto, the system will use electricity as long as enough charge is available, but will supplement this by switching to the gas engine under heavy loads or during states of low charge. Next is EV Now mode. Priority is given to using battery power only with the vehicle avoiding using the gasoline engine unless absolutely needed. The last is EV Later mode in which the car operates using the engine in order to conserve its electricity for a future time. A great use of this mode would be on a trip that starts with a bit of highway but ends in the city. When driving on the highway, a gasoline engine is at its most efficient, so by saving your electricity until you enter the stop and go traffic of the city you will see better overall fuel economy. 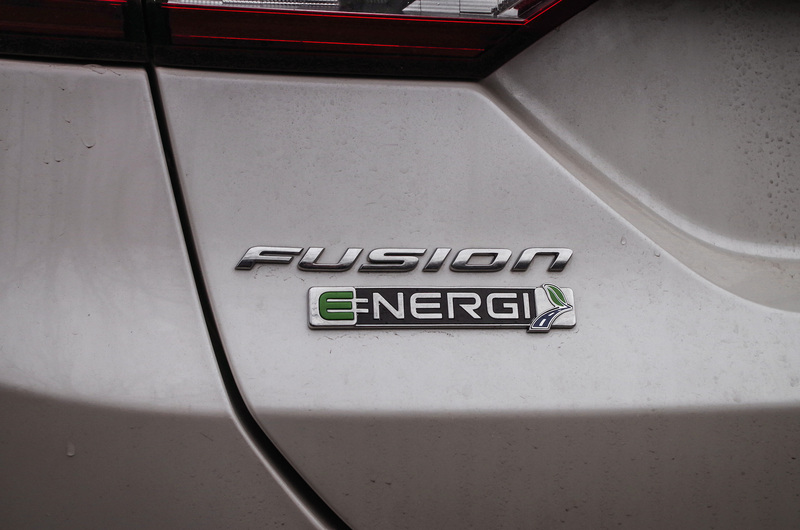 Overall, the Fusion Energi offers an appealing case. 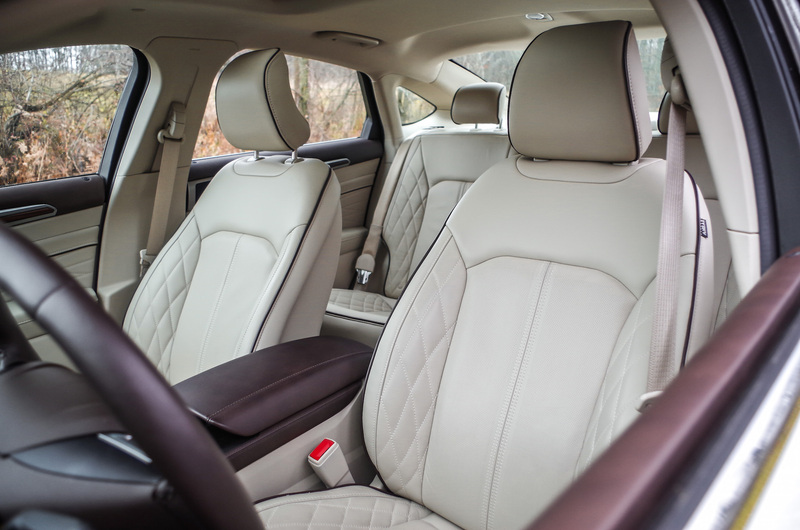 It is comfortable, seats five, and has an incredibly upscale interior. 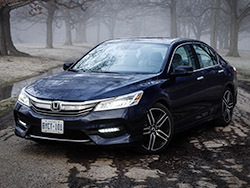 While it is a mid-size sedan aimed at a smaller family, we need to mention the limited trunk room – the battery eats more than half of what used to be a good-sized boot, so shopaholics look elsewhere. 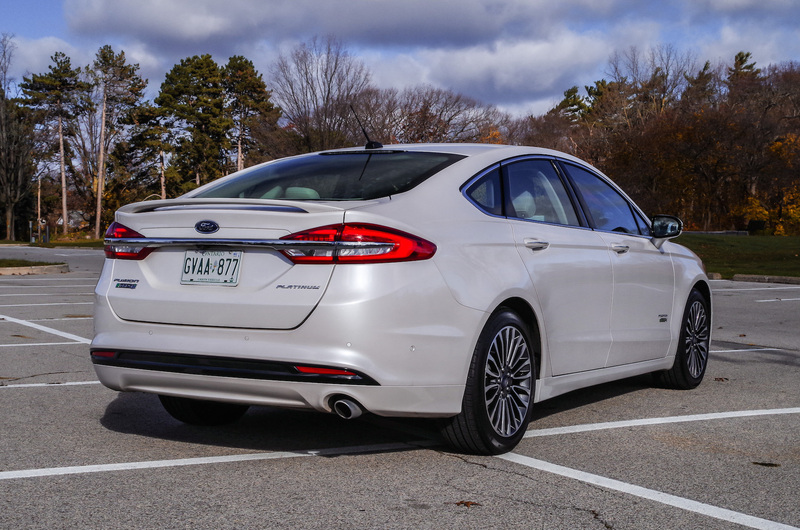 By adding the plug-in capability you should see significant savings on fuel with the Fusion Energi, which should help offset the slightly less attractive price tag in the mid-40s.